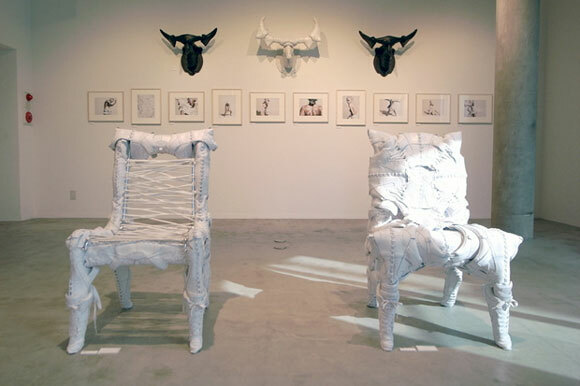 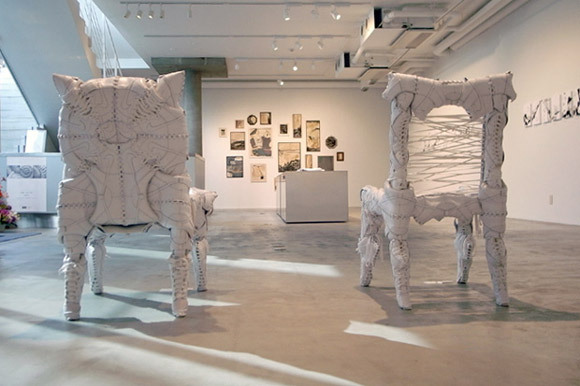 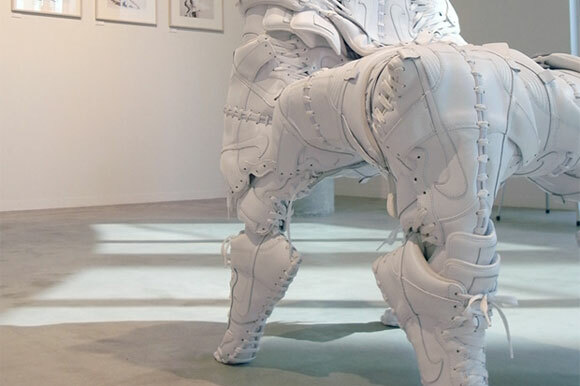 Japanese stylist, Mita Shiniti has fabricated some incredible sculptures and furniture out of sneakers. 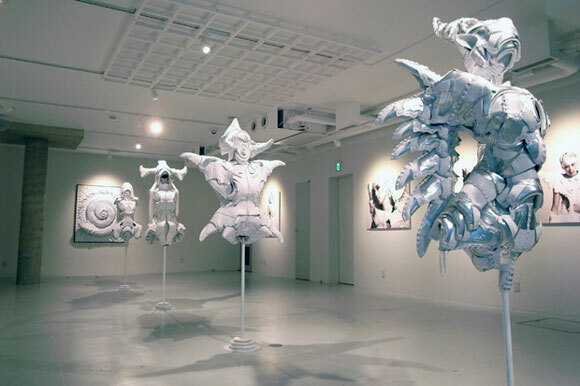 His recently passed Tenki exhibition at the Gallery Speak For in Shibuya was clean, cool and very creative. 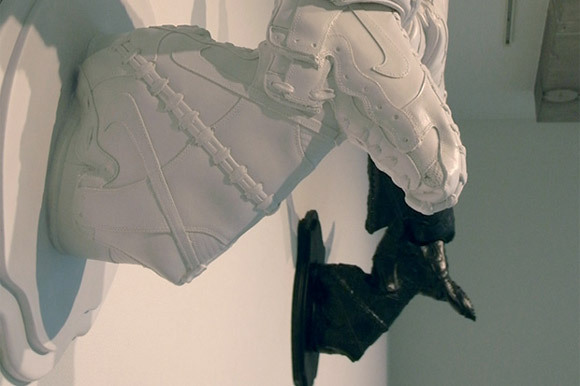 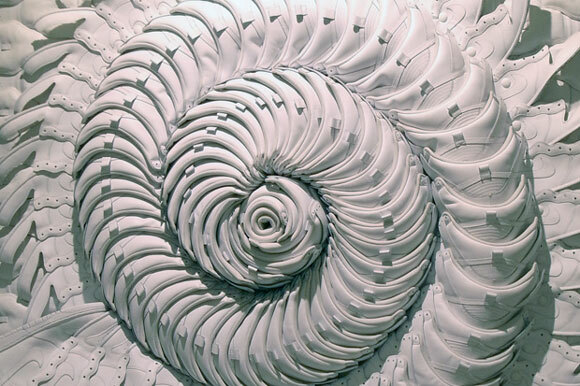 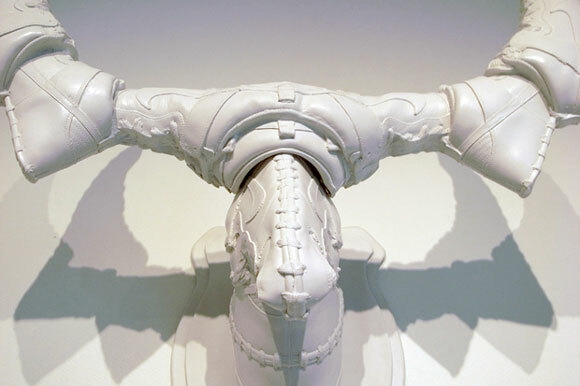 By reconstructing stark white Nike Dunks, Shiniti combined photography and sculpture to create a stunning exhibition.